The technology, which Watershed calls structural encoding, prints 3-D codes onto small metal markers that are frequently included in medical devices, which help locate an implant in the body with an X-ray or MRI. The codes printed on those markers can include information about the medical device, such as who made it, when it expires, the type of device it is, and other information that can uniquely identify it—a requirement for FDA-approved implants. Watershed has developed algorithms that use the design of the 3-D print, as well as the placement of the markers in the device, to identify it, says Nick Cordaro, the company’s CEO. Watershed has an app that hospitals can use to do so, though the company can also decode X-rays and MRIs, he says. Eventually, the app may be able to automate that process. Being able to quickly identify a medical device can save time and money for hospitals, and possibly limit health risks for patients, Cordaro says. That’s partly because patients with knee or hip implant need replacements every few years, and being able to identify a device before surgery prevents confusion during a procedure or the need to have multiple devices on hand, he says. Also, if a patient needs to visit a hospital while out of town or on vacation, the hospital may not have access to the patient’s medical records to find out what type of device they’re dealing with, he says. Patients sometimes know; often they don’t. There are plenty of other methods for tracking the type of implants, such as marking a device with a laser or providing labeling along with the packaging of the device that can be kept with a patient’s medical records, Cordaro says. Marking the device itself means a hospital may not be able to read the marking until the device is out of the body because implants are often made out of materials that don’t show up in X-rays, Cordaro says. A patient whose devices were labeled may run into the problem of not having access to the documents that contain that information, he says. Watershed was founded as a life science incubator in 2016 by Fountainhead Investment Partners, a San Antonio venture capital firm that started in 2014 as an angel fund. In March, Fountainhead acquired a product development and commercialization business run by Cordaro: Encinitas, CA-based Additive Innovations. Cordaro became CEO of the combined business and Watershed keeps offices in both California and Texas. In addition to developing its own products, such as structural encoding, Watershed also develops and commercializes products for larger paying customers. 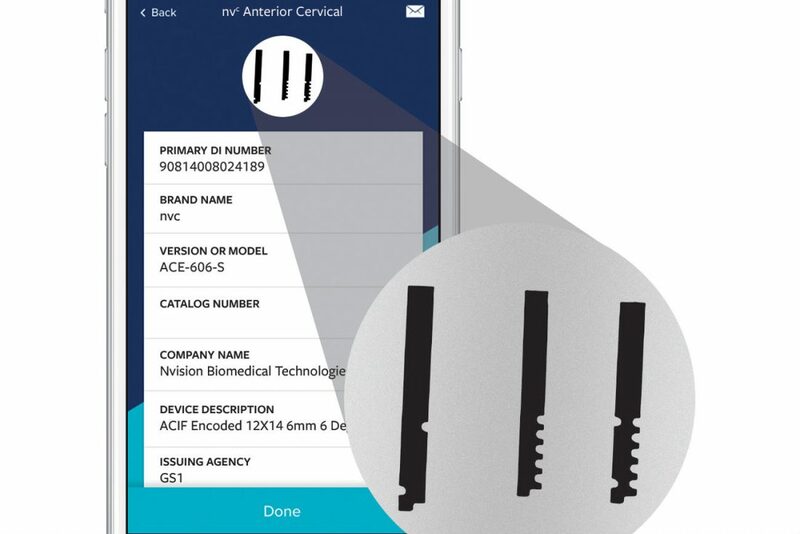 The first company that is using Watershed’s structural encoding system is another business with a connection to Fountainhead: San Antonio-based spinal implant maker Nvision Biomedical Technologies. Brian Kieser, managing partner of Fountainhead, founded Nvision in 2013. Nvision is currently testing out the structural encoding method in its products, though Cordaro says the company has already been given the OK by regulators to use it in its products that have 510(k) approval. The FDA requires that medical devices have unique identifiers so that they can be tracked and identified anywhere. Watershed hopes to license the technology to other medical device makers, Cordaro says.